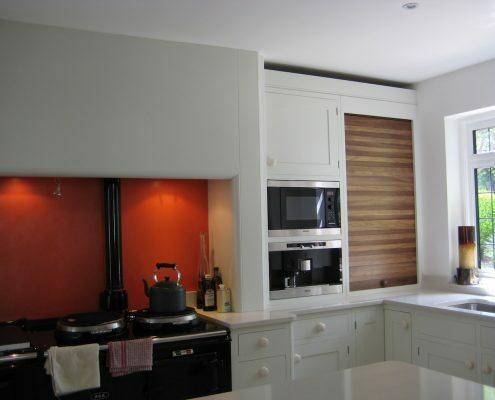 Bespoke Kitchens and Furniture makes having your dream kitchen possible. 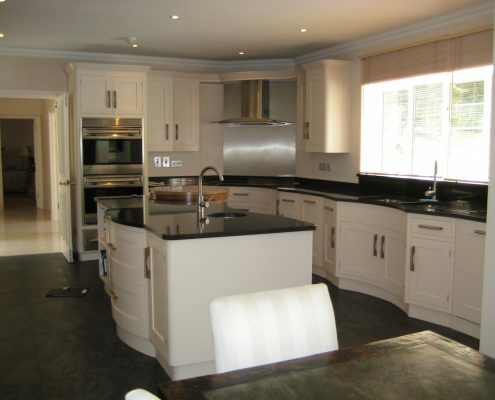 Personalise this special area of your home with our bespoke kitchen services in Chislehurst. We are passionate about quality. 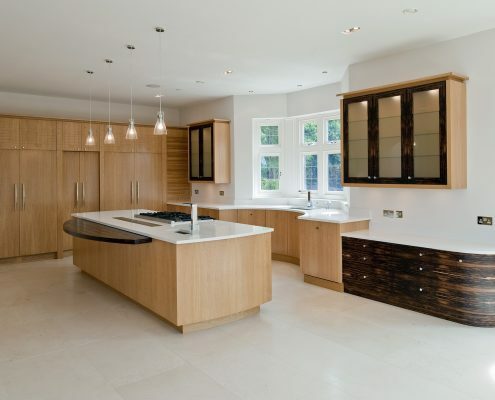 Our ethos involves the creation of beautiful kitchen designs, personally created to suit your home and lifestyle. It includes a focus on quality, with nothing but the best service, construction, and materials. 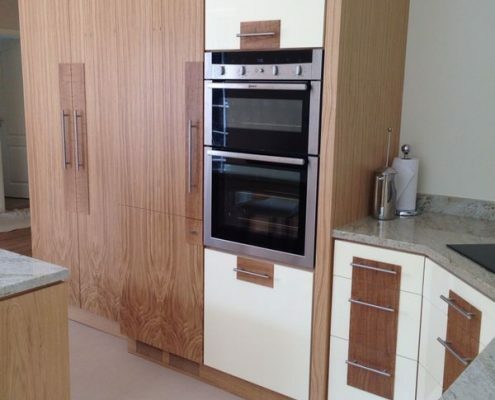 Finally, we are determined to build kitchens that will delight our clients for years to come. Taps and sinks. We offer hand-selected luxury sinks and taps. We source these from trusted manufacturers and ensure they meet our exacting standards. Work surfaces. 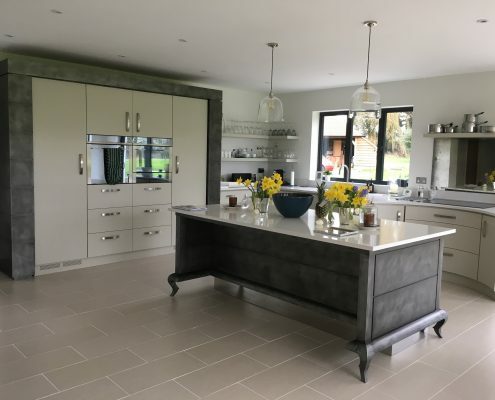 Whether you opt for durable man-made alternatives or prefer natural stone, we cut each work surface to your space’s exact specifications. We do this to ensure the perfect finish. Dining and Seating. The kitchen is not just for cooking; it is where you share food and good memories. 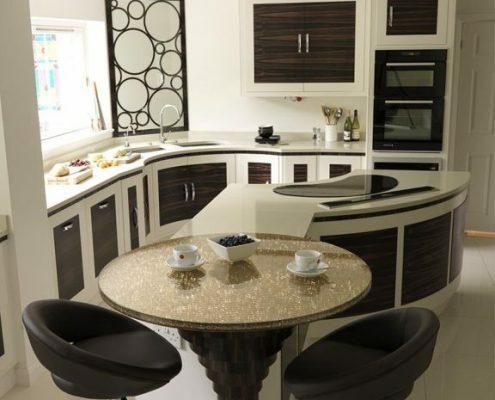 Our bespoke dining and seating arrangements transform your kitchen into the perfect social atmosphere. Designed around your lifestyle, our luxurious storage solutions keep your kitchen organised and clutter-free. 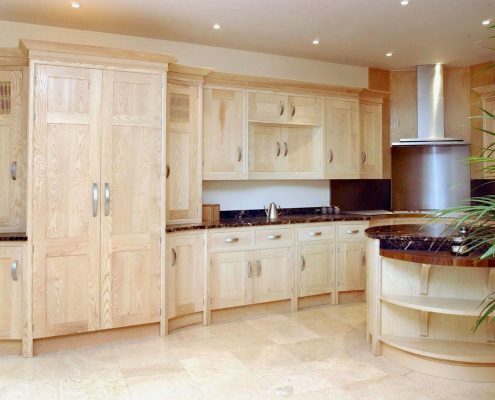 Our manufacturing process sets us apart from other providers of bespoke kitchen furniture in Chislehurst. 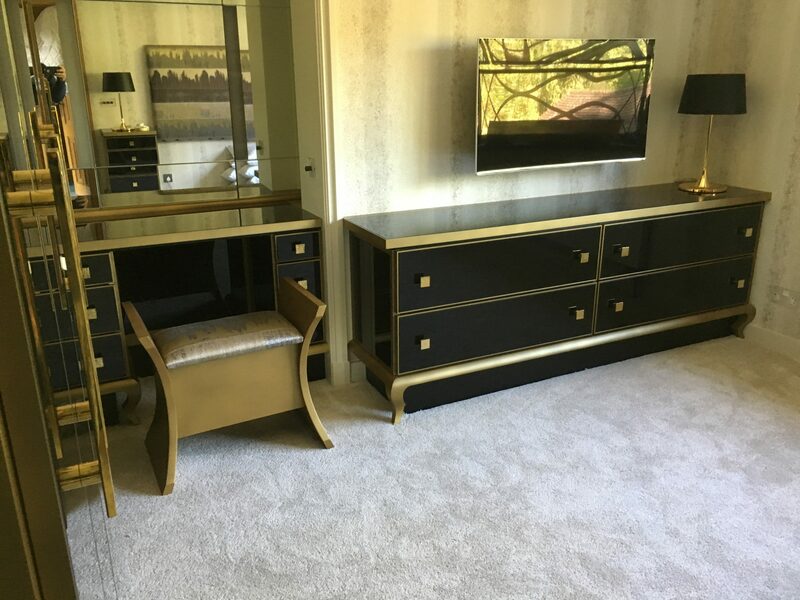 Our professional skills combined with quality materials and the latest industry methods enable us to design furniture precisely to any space, no matter the dimension of your room. 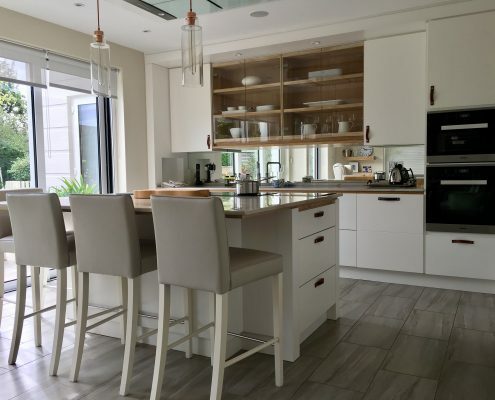 Transform your simple kitchen into a luxurious cooking haven. 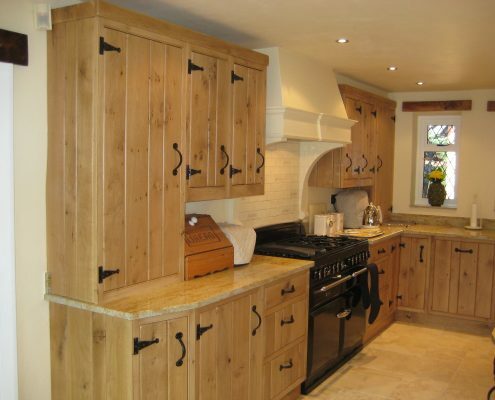 Call Bespoke Kitchens and Furniture to learn more about our bespoke services. Get in touch with us today and book your FREE consultation.